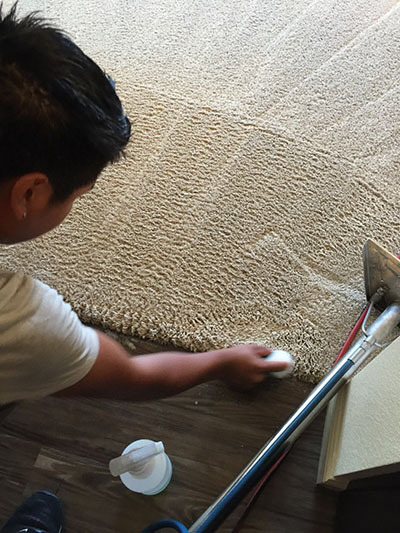 We understand that when a carpeted home is lived in, spills occur. They can come from pets, children, parties, and simple everyday activities. Most liquids can leave an ugly stain on both light, dark and patterned rugs of all brands, types and materials, and they can be very difficult to remove. Once the liquid is spilled, its colors will seep into the surface, and set over time. The faster the stain is attended to, the easier it will be to remove. When our experts are faced with a stain removal task, their first step is to identify the cause of the stain. This knowledge makes it possible to choose the best method to remove the stain. The material of the surface is another big factor—more delicate rugs will require different treatment to the more durable ones. 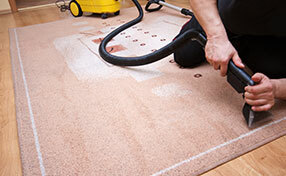 With access to modern technology and a variety of tools, we can ensure effective services without damaging the carpet. Carpet and couch cleaning are among the most common tasks, but we are able to handle all surfaces. The stain will adhere to various surfaces in different ways, and we have well-established methods for dealing with their quirks. Some surfaces will be more prone to stains than others, but even the most resistant material can be affected. The older the material is, the more worn and susceptible it will be. We can handle materials of all ages and types. We offer professional stain removal in both residential and commercial settings. 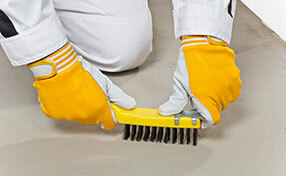 While very similar to homes, office carpet cleaning can require different expertise and tools. Years of experience have taught us how to tailor our technological choices and our processes to the different kinds of carpet which we will inevitably meet in these settings. You can rely on us to remove stains from any carpet, regardless of what it is used for. Stains set and become harder to remove as time passes. When you spill something, it is important to contain the situation. Clean up as much of it as you can, and try to avoid stepping on the problematic area or putting things down on it. This will prevent the stain form setting quicker than it naturally would. The faster you seek professional help to get rid of the blotch, the faster it will be to remove. Rust, wine, ink, grease, and pets are common culprits when it comes to stains. Liquids and solids alike can cause them, and they have their individual characteristics. Never rub or scrub a stain too much, as this can further seal it into the surface. Chemicals will usually be involved in the cleaning of the area, but it is not recommended to attempt to use excessive chemicals yourself. By doing so, you risk bleaching or damaging the surface, and you risk setting the color more firmly in the material if you use the wrong chemicals. Our experts know how to choose the chemicals and the tools based on the material and the source of the stain. 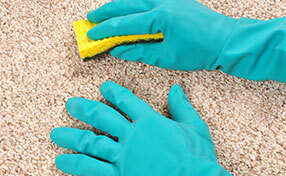 Contact Carpet Cleaning Los Gatos for any enquiries regarding stains and how to get rid of them. We have the tools and knowledge to deal with it. Call us now.